5G PPP Phase 3 Part 2. projects started in November 2018. The three automotive projects were selected from the six proposals received by the EC in response to the 5G-PPP ICT-18-2018 call. 5GCroCo (5G Cross-Border Control) will trial 5G technologies in the cross-border corridor along France, Germany and Luxembourg. In addition, 5GCroCo also aims at defining new business models that can be built on top of this unprecedented connectivity and service provisioning capacity. Ultimately, 5GCroCo will impact relevant standardization bodies from the telco and automotive industries. The objective is to validate advanced 5G features, such as New Radio, MEC-enabled distributed computing, Predictive QoS, Network Slicing, and improved positioning systems, all combined together, to enable innovative use cases for CCAM. 5GCroCo aims at defining new business models that can be built on top of this unprecedented connectivity and service provisioning capacity, also ensuring that relevant standardization bodies from the two involved industries are impacted. The 5G-CARMEN (5G for Connected and Automated Road Mobility in the European UnioN) addresses key challenges harnessing the concept of “Mobility Corridors”. In 5G-CARMEN important European industries, academics and innovative SMEs commit to achieve world-wide impact by conducting extensive trials across an important corridor (by people/goods traffic volumes), from Bologna to Munich, spanning 600 km of roads, connecting three European regions (Bavaria, Tirol and Trentino/South-Tyrol) across three countries. 5G-CARMEN will realise a 5G-enabled corridor to validate a set of innovative Cooperative, Connected, and Automated Mobility (CCAM) use cases from both business and technical perspectives. 5G-CARMEN will leverage on the most recent 5G technology enablers, including 5G NR, C-V2X interfaces, Mobile Edge Computing (MEC), end-to-end network slicing, highly accurate positioning and timing, and predictive quality of service. The neutral host model will be used in order to enable this vision. Mobile Virtual Network Operators (MVNOs), Over-the-Top (OTT) providers, and service providers will have access to a multi-tenant platform that supports the automotive sector transformation towards delivering safer, greener, and more intelligent transportation with the ultimate goal of enabling self-driving cars. 5GMOBIX (5G for cooperative & connected automated MOBIlity on X-border corridors) aims at executing CCAM trials along x-border and urban corridors using 5G core technological innovations to qualify the 5G infrastructure and evaluate its benefits in the CCAM context as well as defining deployment scenarios and identifying and responding to standardisation and spectrum gaps. 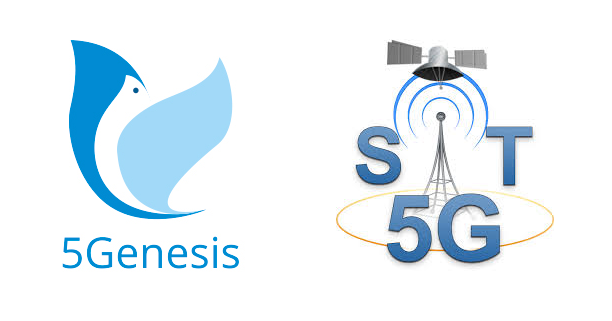 5G-MOBIX will first define the critical scenarios needing advanced connectivity provided by 5G, and the required features to enable those advanced CCAM use cases. The matching between the advanced CCAM use cases and the expected benefit of 5G will be tested during trials on 5G corridors in different EU countries as well as China and Korea. Those trials will allow running evaluation and impact assessments and defining also business impacts and cost/benefit analysis. As a result of these evaluations and also internation consultations with the public and industry stakeholders, 5GMOBIX will propose views for new business opportunity for the 5G enabled CCAM and recommendations and options for the deployment. 5G-MOBIX will evaluate several CCAM use cases, advanced thanks to 5G next generation of Mobile Networks. Among the possible scenarios to be evaluated with the 5G technologies, 5G-MOBIX has raised the potential benefit of 5G with low reliable latency communication, enhanced mobile broadband, massive machine type communication and network slicing. 5G City, Developing and deploying a virtualized neutral host platform for interested parties (e.g. municipalities, ITC -infrastructure owners, etc.) to deploy Smart City services, published its Newsletter #3 late in December 2018. After defining and specifying the baseline 5G-TRANSFORMER architecture, the project has implemented the first release of its main components and it is now ready to start demonstrating and validating the technology components designed and developed by the project consortium. The first months of the project focused on the interconnection of the testbed, which is composed of four different physical sites. The next step has been to define refined implementation, integration and demonstration plans for the tests and Proofs-of-Concept (PoCs) that will be developed showcasing selected use cases. The final list of the demonstrations and PoCs that will be conducted, as well as their implementation and development roadmap is now disclosed: an initial planning of the PoCs per use case, their description, the technologies and functional requirements demanded by these PoCs and an update on the different trial sites that compose the 5G-TRANSFORMER testbed, including updates regarding the end to end integration are now disclosed. The 5G-TRANSFORMER platform components that will be used to deploy the use cases. were made available in November 2018 and described in three deliverables (D2.2, D3.2 and D4.2). The UK Government has been playing a growing part in 5G, alongside industry, through the work of the DCMS 5G Testbeds and Trials Programme (5GTT). Through the 5GTT Programme, Government will coordinate pilots and trial activities to identify potential deployment and technical challenges for 5G, reduce commercial risks associated with investment in 5G by stimulating demand for new services, and help to inform future policy. 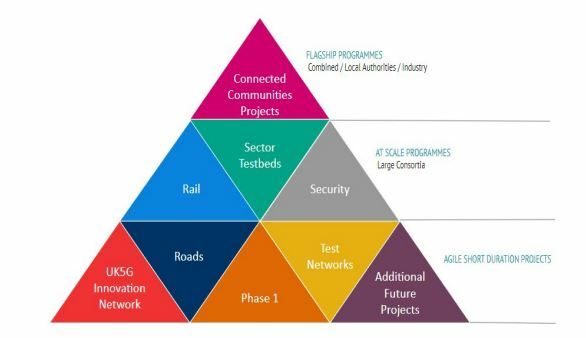 As part of a Government investment of over 1 billion GBP in digital infrastructure, £200m has been allocated to support 5G Testbeds and Trials, with an additional 35 million GBP allocated to joint rail projects with the Local Full Fibre Networks Programme. 5GUK, the world’s first end-to-end 5G network, was completed in March 2018. The DCMS funded, 16 million GBP network was created through a collaboration between the 5G Innovation Centre at University of Surrey, the University of Bristol and King’s College London. The 5GUK test network is now open for business and is being used to trial further 5G applications and technologies. This includes Phase 1 projects, and over 25 further projects. In March 2018, the Government selected six bids from across the UK as the winners of a 25 million GBP competition for an initial phase of the 5G Testbeds and Trials Programme. This includes successful applications located across the UK, including the Midlands, the West and North of England, Wales and Scotland. The projects aim to explore innovative radio technologies that will help to explore a number of exciting and interesting use cases. 5G-PICTURE has recently submitted six deliverables* to the European Commission (*still pending the European Commission review).